North, Left On Dudley Road. 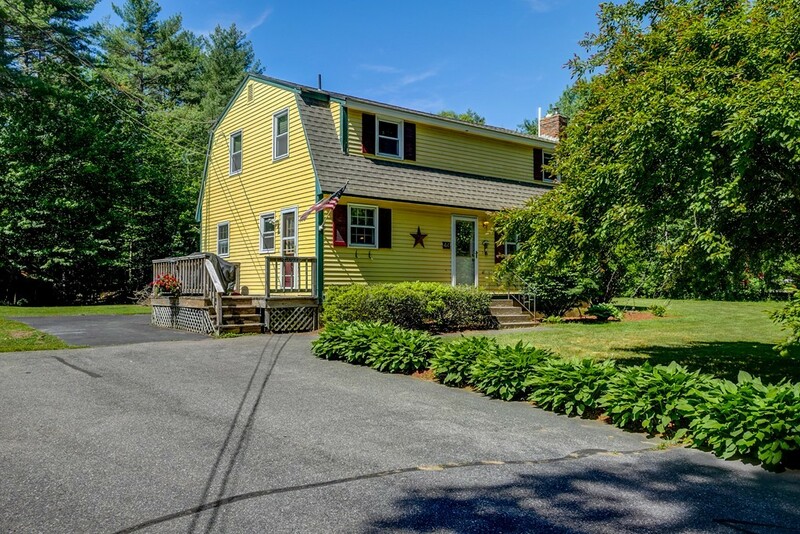 Fantastic expanded Dutch Colonial in a great location less than a mile from Townsend Center! Enjoy your large and private bordered by woods for BBQ's this summer. Walk right around the corner to the beautiful new Library, Elementary and Middle Schools and the Senior Center. Further down on Dudley Street is access to the Townsend State forest trails. Hardwood flooring in most of the home, kitchen remodeled in 2004, wood burning fireplace with wood stove insert, 1st floor office, living room/playroom and an expansive sunroom with skylights (not pictured). The 2nd floor has 3 good sized bedrooms with ceiling fans and a remodeled full bath with skylight. Flowering cherry trees and garden areas outside. Full unfinished basement with laundry hookups. Town gas, Title 5 approved with well testing complete. House needs some cosmetics/minor work and is priced accordingly. Instant sweat equity! Come see this Sunday, June 3rd at 2-4 pm when showings begin. Portions Copyright © 2019 Louise Knight. Portions Copyright © 2001-2019 iMaxWebSolutions.com.